This version of the 10 Little Dinosaurs song isn’t your traditional “10 Little ____” song. 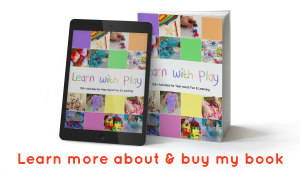 It teaches counting and new vocabulary and is full of gross motor fun! Every dinosaur theme needs a circle time song like this! 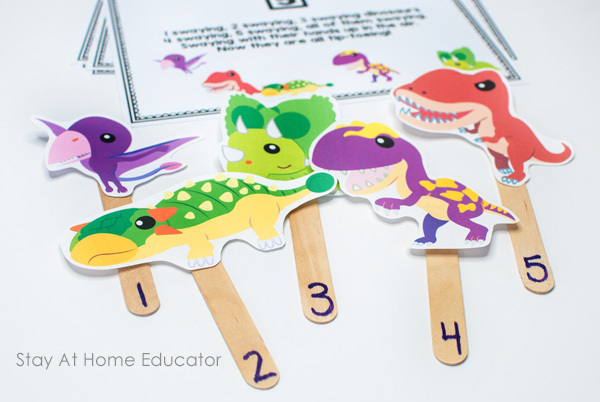 And don’t forget to grab your FREE printable 10 Little Dinosaurs song and puppets at the end of this post! A dinosaur theme is one of my favorites to teach. There’s nothing like the amazement and excitement in your preschooler’s face when they learn about dinosaurs. I mean, how do you really imagine an animal that weighed as much as 14 elephants, that was seven stories tall, and two semi trucks parked end to end? (Source). My eyes get wide hearing that, too, because dinosaurs were incredible creatures. So, to add to the natural excitement that comes with learning about dinosaurs is having some really great dinosaur songs to go along with it. Enter my version of 10 Little Dinosaurs. It’s a counting song. It teaches new vocabulary. And best of all, it is loaded with gross motor fun! And you can download a free printable of the song at the end of this post! Sing this during circle time or during preschool transitions. My preschool sons adore it! Print the dinosaur song printable on heavy card stock. 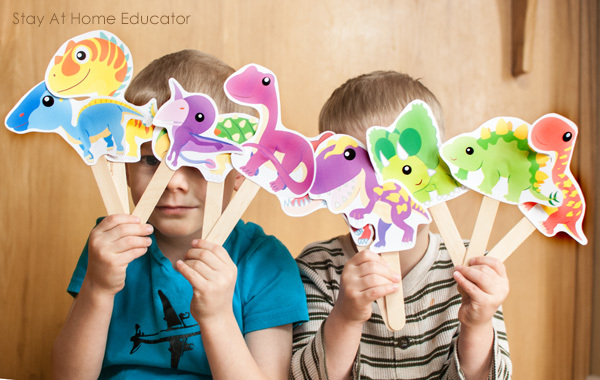 Cut out the dinosaur pictures and glue them onto the craft sticks to make puppets. Invite your preschooler to come and sing with you! The fun of this song comes with the gross motor activities. Instead of simply repeating the same 13 words over and over again, the dinosaurs in this song do lots of different things! You get the picture. And all the while your preschooler is learning counting skills! The printable has the new and fun lyrics for all 10 verses, plus a corresponding number of dinosaurs for the preschoolers to count. Using the craft stick dinosaur puppets, you can also hide the dinosaurs as the song counts down. I numbered the puppets to make it easier, which you could also use to help your preschooler with number identification. See in the photo below how the numbered dinosaurs match the dinosaurs on the corresponding song card? 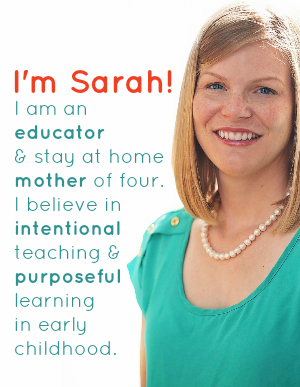 Another alternative is to let your preschoolers hold all ten dinosaurs while singing the song and simply practice the “minus one” concept. My sons insisted on holding all the dinosaur puppets when their hands weren’t otherwise occupied by pretending to be a dinosaur eating, or a happy dinosaur clapping, or a dinosaur waving good-bye. Of course, these dinosaur puppets were used for more pretend play after the song was over. Did you know that just about every dinosaur can fly? Ha, ha! My boys make everything fly when they play! But in all seriousness, one thing we did do was look at the dinosaur puppets and discuss which ones we thought were meat eaters versus leaf eaters and why. I also heard my sons talking about how their dinosaur puppets can defend themselves against the “bad dinosaurs”. You’ve got to see these! The links for the activities are below the image. 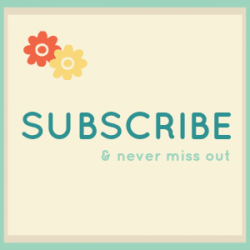 And don’t forget your free printable is at the end of the post! 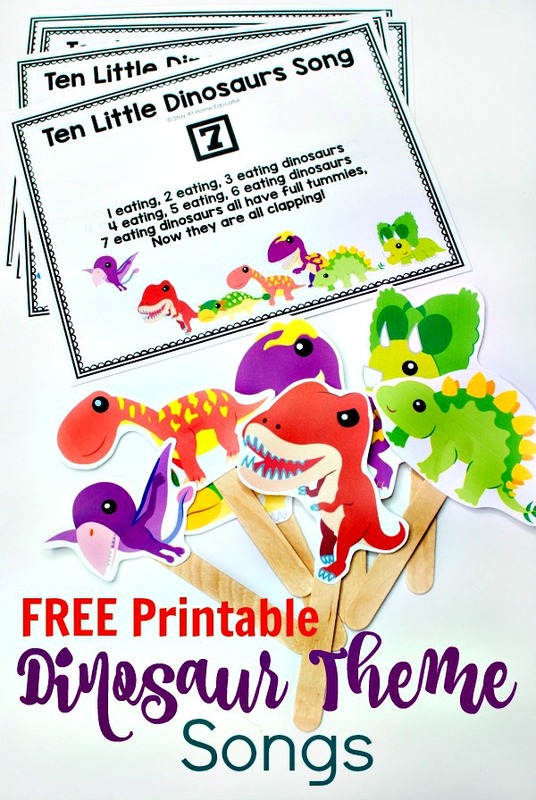 Get Your FREE 10 Little Dinosaurs Printable! Go ahead on click on the download button below to get your free copy of my 10 Little Dinosaurs Song. 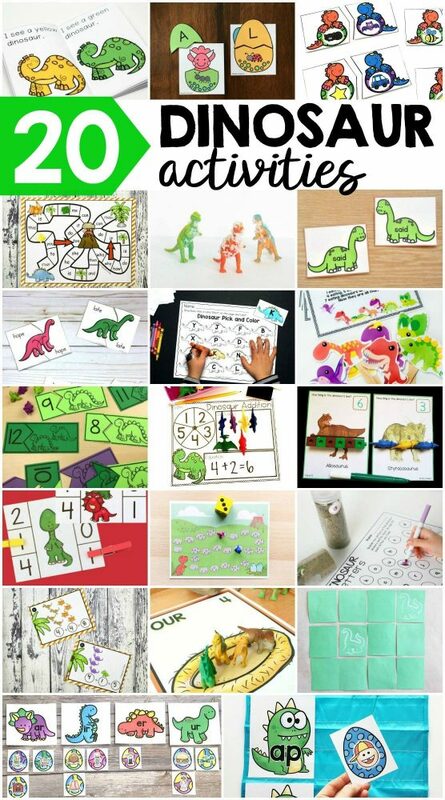 Check Out My Other Dinosaur Printables! 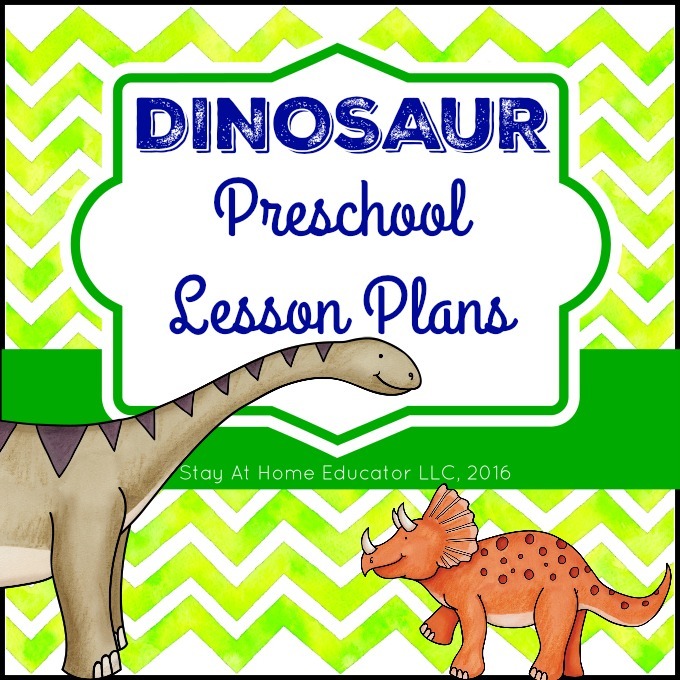 Want more dinosaur printables? I know, you can never have enough if you live with two little paleontologists like I do. Just click the images!